Well we saved the best for last! 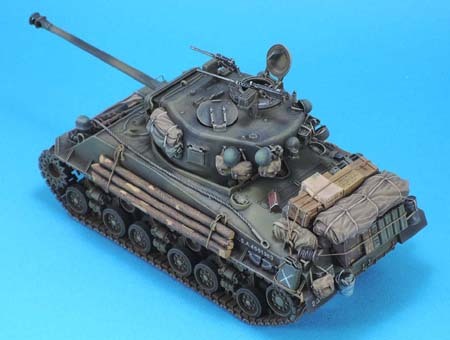 This extensive Update set comprises of 75 Resin parts and 43 PE parts and will fit ANY 1/35 Sherman kit with HVSS Suspension. (Note: The PE is designed for the Tasca Sherman, but may fit other Sherman models as well) This set also includes decals, and a generous amount of stowage including K and C Rations, .50 Cal and .30 Cal Ammo Boxes, and those cool ditching logs! see additional detail photos below.